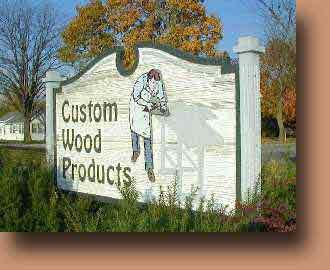 Located in Elkhart, Indiana, Custom Wood Products has been producing custom designed hardwood furniture for over 25 years. With our in-house woodworking, finishing, and upholstering capabilities, we are able to produce a wide range of quality furniture and rapidly respond to our customers needs. Choose from our many styles of chairs, tables, barstools, vanity stools, end tables, coffee tables, magazine racks, and more! We've built our reputation on design expertise and an unmatched commitment to quality. Though we offer many standard designs, it's our ability to create custom designs that sets us apart. If you'd like to modify one of our existing designs or if you have something completely new in mind, we'll work with you to make it happen. 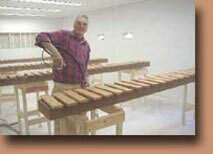 Our craftsmen take great pride in their work, and that pride is reflected in each piece they produce. 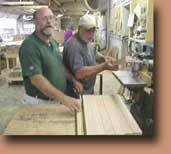 By using real hardwood and the best construction techniques, we can assure you that the furniture we build will last for years. 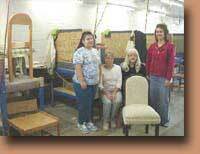 Our friendly staff will be happy to answer any questions you may have.